What should you do with all of your kids' Halloween candy? 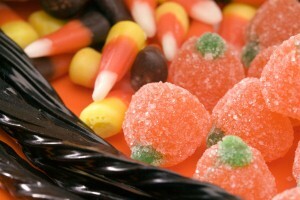 Home » Dad » What should you do with all of your kids’ Halloween candy? What should you do with all of your kids’ Halloween candy? If you're like many dads, you've been sneaking candy from your family's Halloween hand-outs for weeks now. And, now that the holiday has passed, you and your children are indulging in a variety of chocolates and candies each time you pass the stash. Although it's a good idea to put limits on the amount of candy you let your children eat, the reality is that actually enforcing these rules can be difficult if there's just so much sweet stuff in your house. 1. Hide it. Many fathers choose to put the candy in a spot where kids can't access it. This is an especially good strategy if you want to use some of it as rewards or special treats later on. 2. Bring it to work. Leaving a bag of candy or other goodies in an office coffee room, kitchen or break room is a sure fire way of having it disappear quickly. 3. Donate it. Organizations, such as Operation Care and Comfort, collect leftover Halloween candy and ship it to troops overseas. An online search may help you find other worthy causes as well. 4. Sell it. Some dentists offer "cash for candy." Depending on the dentist, they may pay $1 for every pound of candy, or give kids who bring their candy in a goody bag filled with healthier treats, a toothbrush and dental floss. Dads who find that their families are drowning in sweet treats in the days following Halloween may consider giving out non-candy treats next year. Giving out pencils, stickers, popcorn, pretzels and small Halloween-themed novelties may start a trend in your neighborhood.